In strata title management, owners, whether these are investors or occupiers, have the option to self-manage or hire a strata manager to do all the work for them. But doing the latter has always proved to be beneficial. When you get strata or body corporate management services, you’ll have someone who is trained and experienced to handle all the requirements and issues of your strata. Plus, if you get a licensed professional to take care of your community, you can be assured that you and the other owners are given the best service. If you’re still not convinced, here are three other reasons why it’s good to get a licensed manager for your strata. Before getting a license, an applicant would need to undergo in-depth training on the management process, which includes courses on trust accounting, financial management, staff management, and of course strata management. All these are on top of the Certificate of Registration courses needed to be allowed work as a registered strata managing agent. Therefore, getting a licensed professional would ensure that you are getting someone efficient for the job. They get yearly updated trainings or refreshers. 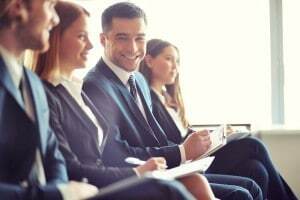 As if all these pre-requisite trainings are not enough, managers also need to take yearly courses or learning activities called Continuing Professional Development (CPD). This is also required for them to have their license renewed. With this, the manager increases his knowledge every year and doesn’t get left behind on latest strata news and trends. They are highly committed to the job. It’s not easy getting a license and having it renewed every year, with all the trainings and courses you need to go through. But licensed professionals do this as they think it is extremely necessary and it can help them provide a much more excellent service to their clients. This shows that licensed managers are committed to giving you the best service. For your strata in Sydney or anywhere in Australia, getting someone to manage it will allow you to live more comfortably in your community since all the hard work is taken care of by a professional. Furthermore, if you get a licensed manager, you also get peace of mind knowing that the most capable and effective person is taking care of the community, and this is especially valuable if you’re an owner-investor. Get a licensed strata manager now and enjoy the perks of great strata living.